SamTech ME to provide Fujairah Police with a Smart Impounding System. SamTech Middle East to provide Fujairah Police with a Smart Impounding System. Homepage / Agreement / SamTech Middle East to provide Fujairah Police with a Smart Impounding System. Fujairah Police General Command signed a partnership agreement with SamTech Middle East – Dubai. Under this agreement, SamTech will be providing Fujairah Police with Smart Impounding System, the application monitors the impounded vehicles under the owner’s custody against the violation, owner will be bounded to use his vehicle during the impounded period. The system uses state-of-the-art technology to monitor the mobility of impounded vehicles. Brigadier Ali Rashid Al Yamahi, Director of Traffic and Patrols Department said, “the Smart Impounding System will be implemented on 1st September 2018. He pointed out that the system will be operating round the clock and will keep on sending the movement violation alerts to the police command & control centre in real-time”. Al-Yamahi added “The Smart Impounding System will keep the vehicles away from the sun and possible damage. It will also eliminate the congestion problems in the vehicle seizure areas”. 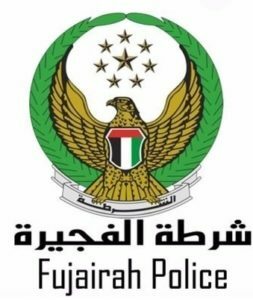 He added “Fujairah Police pursuit to innovate advanced methods to make the citizens and expatriates happier”. Samir Ibrahim Abdulhadi, founder and CEO of SamTech, said “we are proud that the Smart Impounding System was fully developed in SamTech. The main idea of the system is to keep the vehicle in the owner’s custody. The system uses GPS/GPRS technology to monitor and determine the illegal movement of impounded vehicle for the fine period. If the owner who violated the law, requests to impound his vehicle, he will be notified for the duration of the impounding first. After that, a smart device will be installed in the vehicle and link it with the system electronically. It will help the authorities to monitor and restrict the movement of vehicle during the impounded period. The geographic location for the vehicle impounding will be determined by the owner of vehicle.